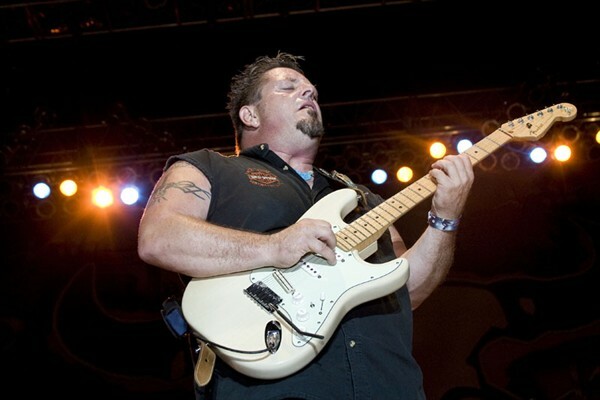 Dan Lawson's reputation as one of America's Premier guitar players speaks for itself. He and his style have evolved into a charismatic blues-rock sound like no other! He is a singer-songwriter of stylistic depth and emotional resonance. His ability to connect with live concert audiences is transformational, and his new album will bring that same energy. Growing up in a small Maryland Town at the mouth of the Chesapeake Bay, Dan was always around great family musicians, his Uncle Roy Parks was guitarist with Country Music Great “Tex Ritter” that’s where he got the “calling”. Dan does not just play guitar, his guitar tells a story of passion and soul! Dan's music is a vast mix of Rock, Blues, Jazz, and Funk! We allow the music to speak for us! Dan is also a frequent performer at all the Major Blues Festivals through out North America such as The Ottawa Blues Festival and the Mont-Tremblant Blues Festival in Montreal Canada. And ALL the major motorcycle events in North America. Dan also performed the National Anthem for former Presidential candidate John McCain. From an early age the heart of the blues was embedded in Dan. At the age of 16 and with tremendous talent, Dan would sneak into clubs in order to perform with Boston Blues greats such as James Montgomery and Weepin Willie to name a few. Dan's web site can be found here: Dan Lawson Band. 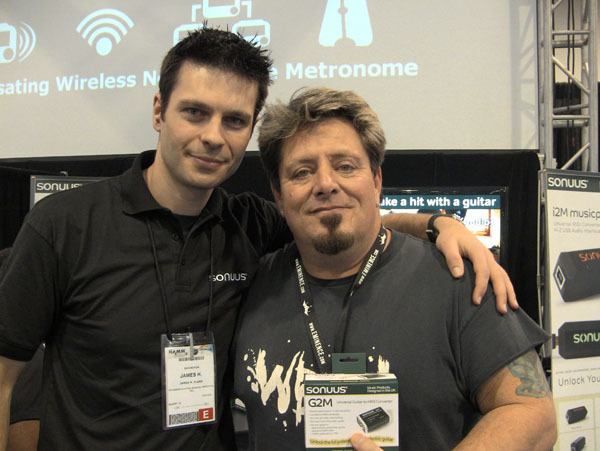 We first met Dan at the NAMM show in 2009 when we launched Sonuus and the G2M. It was love at first sight for Dan, and here's a video of that meeting. Dan's also made a few other nice demo videos with the G2M.